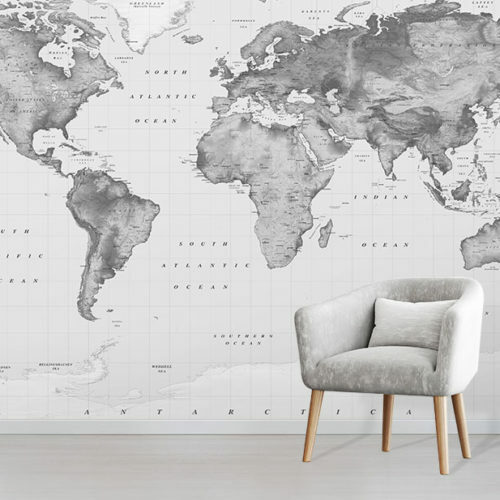 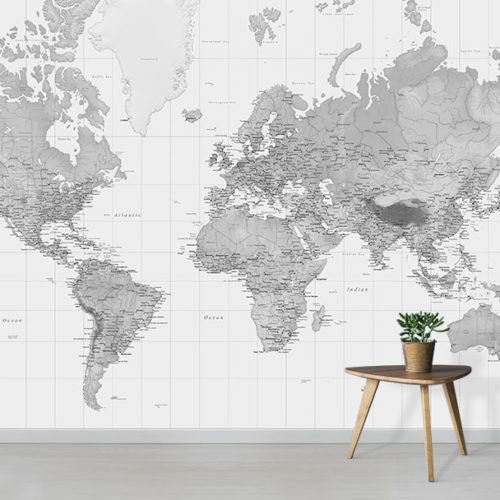 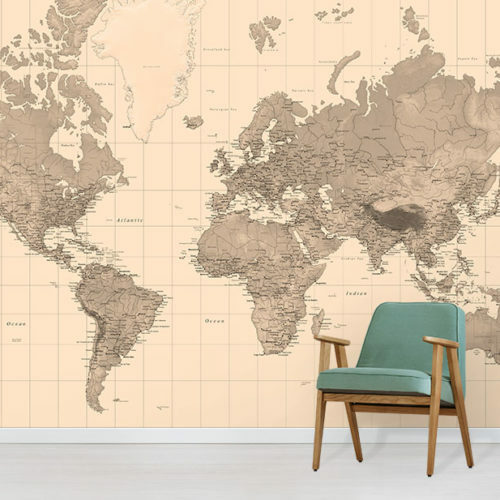 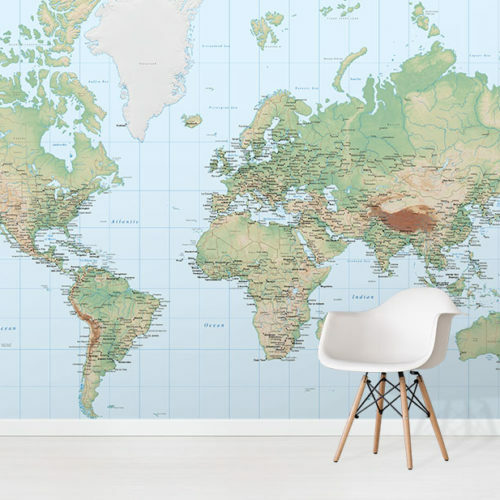 With a wide variety of styles and colours to choose from, our world map wallpaper will spark your travel inspirations and help you plan your next worldly adventure. 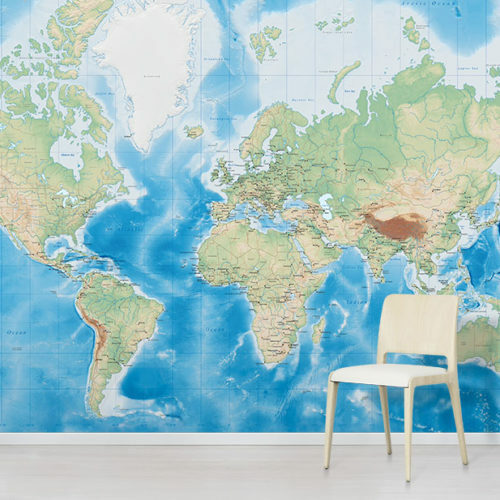 Not only do they look visually stunning, world map wallpaper murals create an incredible impact when you walk into the room. 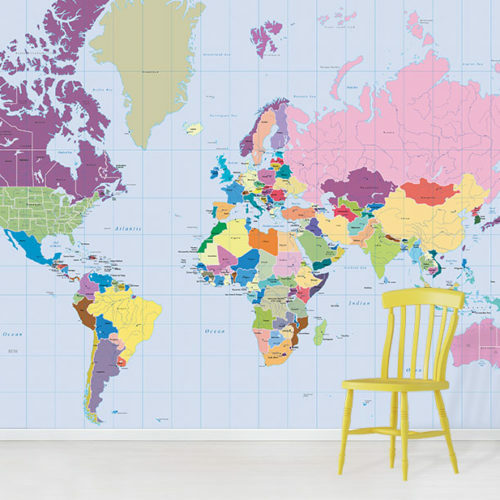 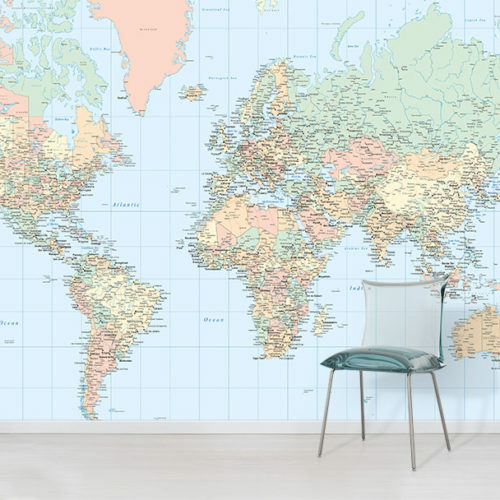 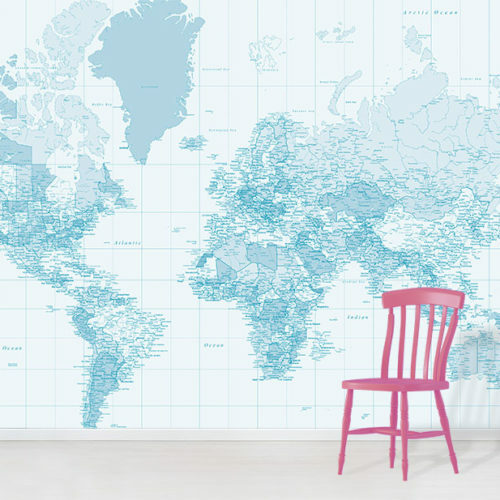 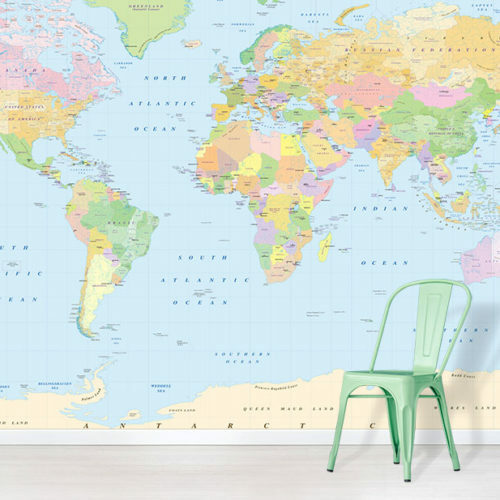 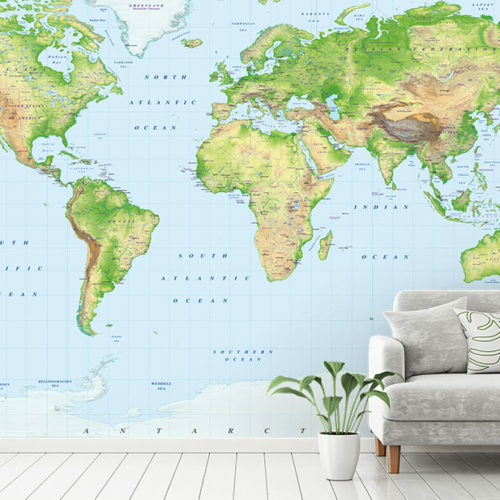 You can easily incorporate a map of the world in your home as a fantastic feature wall.